During the past 24 hours, Russian-terrorist forces shelled the positions of Ukrainian troops in the Donetsk, Luhansk, and Mariupol sectors. Terrorist operations were the most active in the vicinity of Avdiivka, Starohnativka, Pisky, and Shyrokyne. Near Mayorskiy, several enemy groups attacked the positions of Ukrainian troops from several directions. Ukrainian troops successfully stopped the enemy attack with retaliatory fire; the enemy was forced to withdraw to [their original] starting line. The ‘armies’ of the ‘DNR’ [Donetsk People’s Republic] and the ‘LNR’ [Luhansk People’s Republic] continue reinforcing their combat capacity. The Russian-terrorist command strives to balance the strength and structure of their units in each particular sector with assigned tasks [for each sector]. The troops’ command and control systems are [also being] perfected. Another ‘training center’ for the ‘refresher training’ of local insurgents and mercenaries arriving from Russia has been created in the vicinity of Krasnyi Luch. As of this time, about 6,000 troops belonging to different Russian-terrorist formations are assembled on the Horlivka – Yenakijeve – Debaltseve stretch (the “Horlivska Garrison” that is part of “Oplot” gang, and several smaller units, including “Vostok” and “Somali”). This group in particular employs powerful and long-range weapons that operate in the base area (9K58 “Smerch” multiple rocket launcher systems, as well as cannon and self-propelled artillery). In most cases, the munitions are “withdrawn” to positions from where it would take them less than 60 minutes to return to their previous principal firing positions near the “front line.” Additionally, up to 60 tanks are mobilized on the stretch between Krasnohorivka and the northern outskirts of Horlivka (T-64 of various modifications, as well as the T-72 equipped with new types of ammunition and equipment allowing long-range and night-time combat), at least 95 different ACVs (armored combat vehicles, mainly BTR-80 and BMP-2, and several BTR-82). Also deployed in the area are a ​​logistics facility and an air defense system (3 radars, as well as many firing units that provide air defense, including directly at the “front line”). Separatist forces near Debalteve. Photo by AFP. In the seaside (Mariupol) sector, a strike group of Russian-terrorist troops is structuring. Some of its manpower and resources have been moved forward, directly to the line of contact with Ukrainian troops. This strike group receives periodic supplies of military equipment and its maintenance specialists from Russia. Another “mobile” armored group has emerged at the “front line” (6 tanks, 5 ACVs, and two ZU-23-2 systems supported by a mortar battery). 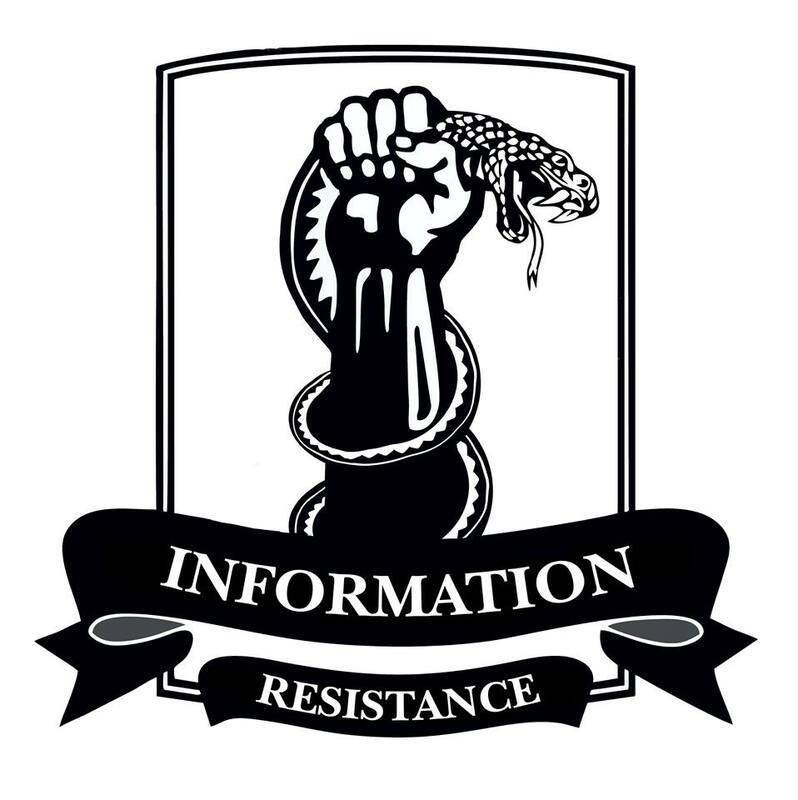 In the Donetsk sector, terrorists are persevering in their attempts to “probe” the front edge of the Ukrainian defenses, through heavy shelling, extensive use of intelligence equipment, and attempts of sabotage and reconnaissance groups to infiltrate deep inside the ATO forces combat formations. Up to 3,000 insurgents and Russian mercenaries are currently concentrated on the stretch between Marinka and Krasnohorivka, as well as 27 tanks (divided into groups of 3 or 4), and 36 AFVs. Over the past 24 hours, we observed regular deliveries of resources and supplies from the Russian Federation (most of them via the “northern route,” by motor transport and railway). Overall, 6 train cars and 12 covered platforms arrived in Ilovaisk (presumably carrying MRLS, and command and control vehicles). About 40 vehicles and 12 combat vehicles (mainly ACVs) were seen moving through Luhansk and Krasnodon as part of supply convoys. Convoys arriving from Russia typically include a large number of specialized equipment – transport-loading vehicles, fuel tankers, and engineering machinery and equipment (cranes, tracklayers, etc.). The greatest number of deliveries of supplies and technical resources in the last few days were made to the Luhansk sector and the Artemivsk–Donetsk stretch. Insurgents continue to move coal [from Donbas] to Russia. On average, we have reports of 10-12 heavy cargo trucks with coal leaving from the Luhansk oblast for Russia daily. Documents accompanying the cargo define the shipments as “coal from Ukraine,” and the Russian customs service is observing all customs formalities. In Luhansk and several other settlements in the territory controlled by the ‘LNR,’ insurgents are persistently spreading rumors about an impending massive air strike by Ukrainian aviation, supposedly scheduled for March 17. The motives behind the spreading of this rumor are currently unknown. 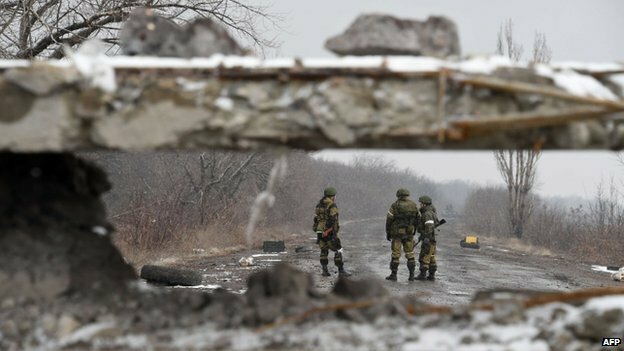 Today, the so-called Minsk-2 ceasefire agreement looks more and more like a “unilateral ceasefire” by the Ukrainian side as the day goes by. Now it seems that the Minsk-2 armistice was nothing but a fabrication which was set to simply benefit the Russian guerilla forces in the Donbass, unfortunately. As we have been witnessing in the daily updates by Mr Tymchuk here, the Russian guerilla forces in the Donbass have been indifferent to the “agreement” always and have been shelling at will as this update reports. Moreover, N. Savchenko is still being held in a Moscow prison despite the famous “agreement” signed during the Minsk-2 conferences. She was supposed to be freed once the Minsk-2 agreement was signed together with all other Ukrainian prisoners held by Russia and the guerilla forces in the Donbass. Bizarrely, the Kremlin and its “unofficial” armed forces in Ukraine have been violating every possible agreement they ever “signed” in the city of Minsk. It is totally senseless to call the current regime in the Donbass a ceasefire or an armistice. However, the notoriously misguided leaders of the West have been promoting such a problematic farce since one year ago one after another. Especially, the leaders from France and Germany, Hollande and Merkel, are responsible for the dysfunctional ceasefire agreement because they have been promising something they can never deliver, calling their own actions a “diplomacy”. In the meantime, so many innocent lives, especially the Ukrainian civilians, were allowed to be killed like a bunch of useless eaters by the Russian guerilla forces perhaps with a sort of approval from the West (and perhaps by the Ukrainian bureaucrats themselves as well). This is unacceptable. Yesterday or today, I personally came across with a Twitter information that a top American military officer from the NATO apparently stated that it was “not a strategy” to “arm Ukraine”. I myself did not take time to read or search for source of such an utter nonsense in the Twitter news so this story still nothing but a Twitter news and unconfirmed. But, I do personally believe that an American top military officer would state something like that, following the so-called “party line” of the White House and the President Obama himself. After all, President Obama is a man of “deweaponization” and he has been promoting destruction of weapons at least in Ukraine since he was an American Senator. Perhaps, on the other hand, he has been trying to destroy the so-called “gun culture” of the US itself as well. However, as we all know, a unilateral disarmament under a military aggression like Ukraine today helps nobody in this real world. The American NATO officer who allegedly stated that it was not a “strategy to arm Ukraine” might have tried to please such American president of deweaponization in the White House so that he could keep his job for a long time. By doing so, I guess, the officer did a damage to the so-called stability of the NATO alliance itself because he called for neglecting an international obligation of the US (under the Budapest Memo). This was while the military leaders of the NATO were supposed to give honest advice to their civilian leadership… Now, I suspect, the stability of the NATO is not very certain thanks to such an alleged “kowtowing” military leader of the NATO, who probably tries to please his president for his own job, neglecting honest military advice to the civilian leader. This is called a bureaucracy, unfortunately. In such a neglectful situation, the civilian leaders in question will start writing even plans of operation by themselves in a near future. Hopefully, the American leadership will overcome such bureaucracy before it is too late for Ukraine and the US itself. On the other hand, I hope the new Ukrainian President will overcome the notorious Ukrainian bureaucracy as well. We now know that an open letter from some honest Ukrainian officers over the debacle of Devaltseve has been published, calling for him to dismiss his General Staff. Some time ago, I myself commented here about the logistical system of the Russian guerilla forces in order to raise awareness among the Ukrainian people as well as the supporters of new Ukraine. The so-called white trucks from Russia (dressed up as “humanitarian aid trucks”) were such a Russian logistics system back then. Obviously, the Ukrainian military leadership had to destroy or neutralize the resupplying truck traffic, unless the same Ukrainian leadership wanted Ukraine to be devastated more by the Kremlin. Of course, the Ukrainian side had no control over the road where these trucks were running around, unfortunately, due to the Russian occupation. So, the US and the UK (and France) had to help Ukraine neutralize the logistics of the aggressor forces if they wanted to honour the Budapest Memo, too. Recently, we hear that an important railway hub in the devastated Devaltseve has been fully repaired by the Russian Railway Troops so that the Russian guerilla forces could get resupply and reinforcement by rail. So, the neglectful leaders of the US and the EU (such as France and Germany) allowed the aggressor forces from Russia in the Donbass to rebuild their strength exploiting the non-existent “ceasefire” this time again. If the US (and its NATO officers) had acted responsibly in time, such new military escalation and development inside Ukraine would have been halted already and it would have saved the cost of military assistance to Ukraine, too. But the financial cost to defend Ukraine is now already increased again thanks to both the inaction of the US and the NATO leaders and the desperate actions by the Kremlin. History tells us that the US suffered a humiliating defeat in south Vietnam nearly half a century ago. The US had been boasting that it would turn Vietnam into a “stone age”, etc. But, in the end, it was the US which was utterly defeated. As we know, the so-called “Ho Chi Minh trail” logistical system enabled the Vietnamese guerilla forces in south Vietnam to defeat the Americans. However, even today, most of the American leaders refuse to face the humiliating experience in the small Asian country and try to go into their so-called psychological “state of denial”, turning a blind eye to the truth of their own defeat. The so-called Ho Chi Minh “trail” was not a trail. In fact, it was a long pipeline system which flooded military materials and troops from the former North Vietnam to the south (via the territory of a third country). This logistical system maintained the Vietnamese guerilla forces until the US was finally driven out of the country. Still, the leaders of the West, especially of the US, do not face the truth of the Ho Chi Minh “Pipeline”. This is while the Kremlin has been openly using the pipeline, flooding all the military materials and troops from the Russian side (including prison inmates, by the way). The same leaders are now trying to refuse to “arm Ukraine” for reason unknown. Meanwhile, the Russian aggressors keep flooding materials and troops through the Russian equivalent (white trucks and the railway now) to the Donbass… One way or another, Ukraine will be forced to destroy or neutralize the modern day Russian Ho Chi Minh pipeline unless Ukraine (and the US, the UK, etc.) wants to be driven out of Ukraine itself. In order for Ukraine to do so, the US and the UK will have to supply advanced arms to Ukraine before the cost to do so increases farther. At least, Ukraine will need, not only “fire and forget Javelin” anti-tank missiles but, advanced anti-radar missiles and stealth warplanes such as the latest F35s to carry the missiles to neutralize the advanced Russian anti-air weapons stationed in the Donbass already (such as the latest Pantsir) before Ukraine can take control over the Russian Ho Chi Minh pipelines there. Some American think-tankers say that the US should provide anti-tank missiles to Ukraine but, as long as the vulnerable Ukrainian “foot soldiers” are under the Russian surveillance (by satellite and mobile ground radar stations), their idea will not necessarily help the Ukrainian troops who bear all the burden. So, it is not enough for the US to provide Ukraine with counter-battery radar and US-made military trucks either. Counter-battery radars, at least one of them (a suit case type device), were even captured by the Russian side after the debacle of Devaltseve, according to an Internet report (true or not). The Russian guerilla forces have been taking advantage of the counter-battery radar, shelling at the Ukrainian side from Dobass residential areas in order to let the Ukrainians respond and destroy more civilian targets there… Still, even now, some of the American leaders and think-tankers want to “supply” these stuff to Ukraine. But, unfortunately, it is not a strategy. Some American experts out there allege that the latest fighter-bomber F35 is in fact a junk despite its high price. They say that the stealth capability of F35 is not good enough and its protection against anti-air fire is poor, and so on. Hopefully, this is not the reason some Americans are “refusing to arm Ukraine”. At least, Turkey and Israel are purchasing the aircraft already although the F35 is not combat-proven at all. If Turkey and Israel can get the aircraft, Ukraine should do so, too, so that the F35 will finally prove its effectiveness in combat and free Ukraine from the Russian aggressor. It is not a strategy, either, to prolong the ongoing Ukrainian war although it may make easy money for the American military industry. A quick military victory to save human cost is golden for Ukraine (as well as for its friends). A prolonged war with the desperate Russian Dictator Putin, who has been hiding from the public for about one week recently, is not the responsible strategy at all.